Come take a tour and discover in depth the true meaning of the colourful bazaar and the delicacies that are on display. During the month of Ramadhan, Muslims around the world are fasting in compliance with the 3rd pillar of Islam. From sunrise to sunset they fast without even a drink of water. Ramadhan in Singapore is one of the biggest events since Islam is the second largest religion here. 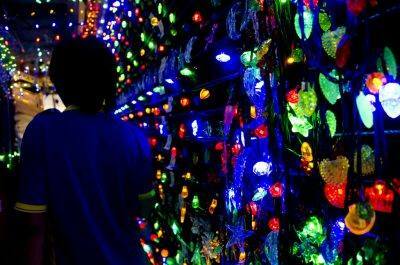 Without doubt, the Geylang Serai area is then buzzing with the Hari Raya Bazaar. Visitors from the neighbouring countries come in bus loads to experience the Bazaar. 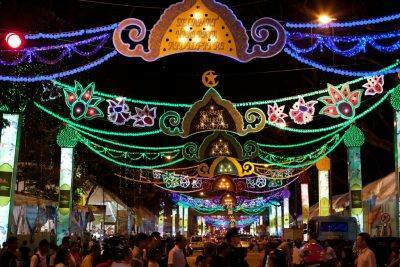 The Hari Raya Bazaar in Singapore serves the Islamic community as do the Christmas markets in Europe the Christians. Learn with our guide Chaqua the proper etiquettes, how the homes will be decorated and how families make a big event of dressing alike for this special occassion. Please sign up early; bookings will close on Thursday, 23th May 2019. In order to book, you first need to enter your email address. If you are a member, use the email address you signed up with. If you are not a member, just enter your email address.